Talent and education are not depended to age, and whoever wants would reach to highest peaks if makes effort. A retired colonel, Abdul Alim aged 70 could learn calligraphy and has recently received his certificate. 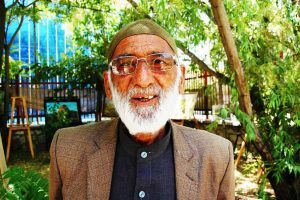 Retired Col. Abdul Alim told The Kabul Times I had been working as an armed forces officer for forty years. 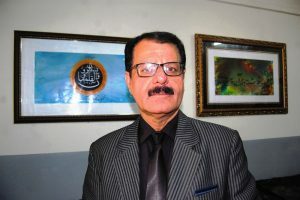 He added I had worked in Nangarhar, Kunar, Laghman and many other provinces as first deputy of national security department. “I have always worked with pen, that is why my friends have always encouraged me that I have a nice handwriting, a move caused me to professionally and technically start learning calligraphy,” he said. He said I have always thought about getting education and knowledge, adding that is why I got enrolled in Maimanagi Gallery and learned calligraphy in two years. He said nothing was easy if efforts are not made. He added since I have received my certificates decided to teach calligraphy to my sons, daughters, grandsons and granddaughters as well as to those willing to voluntarily learn this art. About his works he said, ‘I had arranged a work for the last exhibition and I would arrange many of my works in near future. I want to first decorate my home through my calligraphy works and then I would gift some of my works to my friends and relatives. 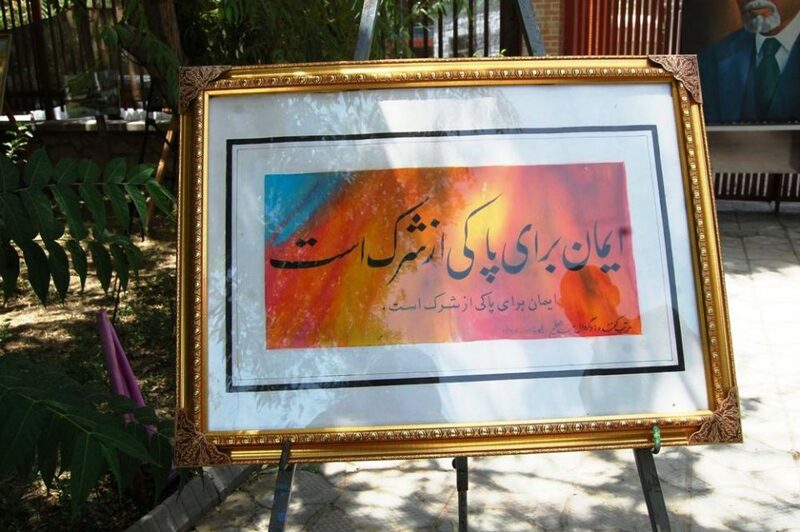 Even, I would gift my works to some government organs and schools.’ He asked the children, youth, teenagers and old people to never give up and learn any art of profession they like and teach it to others, adding Prophet Mohammad (PBUH) says “Learn education from cradle to grave,’ a nice saying encouraged me to learn calligraphy in age 70. Ustad Sahab added as Abdul Alim was really keen in calligraphy he could finally receive his certificate. Thanking Abdul Alim who could learn three types of Islamic writings in short-time, Ustad Sahab wished him further successes in all life spheres.